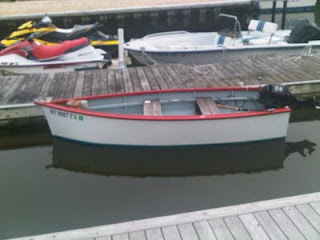 For this Fourth of July 2011 out in Hamptons, I decided to join in the summer festivities by picking up a clamming rake and hopping in a little boat during low tide. Like scavengers we searched high and low and stumbled upon the perfect spot abundant in fresh clams from the cool Atlantic waters. 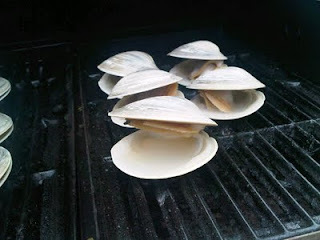 Every time I placed my rack into the ground, up came a bunch of the savory mollusks... and then to my mind...an awesome idea for a quick and easy recipe. Now it's time to BBQ!! 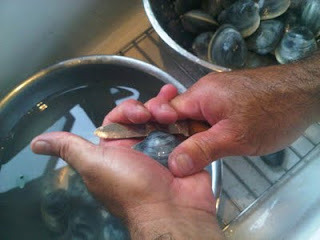 Rinse the clams in cold water and scrub them with a small scrub brush. 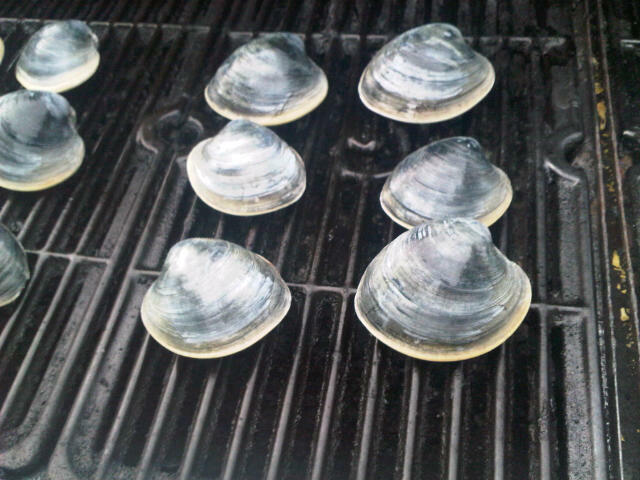 Place them directly on the grill, close the cover and keep it covered until the clams open. 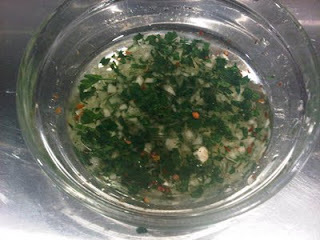 While they are cooking, in a bowl combine 1/4 cup olive oil, a 1/4 teaspoon of pepper, a dash of salt, a small bunch of parsley cleaned and chopped, 3 large cloves of garlic peeled and chopped and a pinch of crushed red pepper (optional). 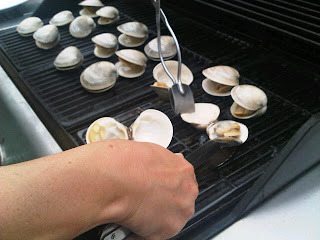 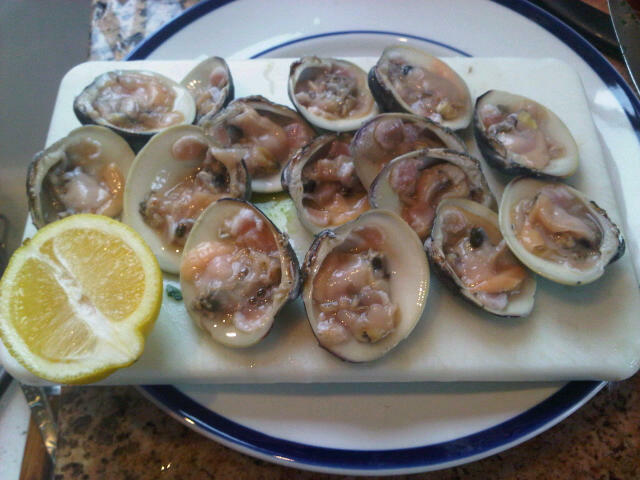 With tongs, open the clams fully while keeping them on the grill. 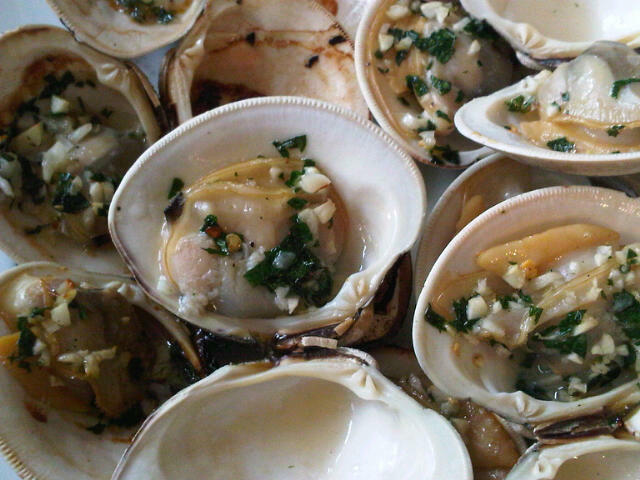 With a spoon, cover each clam generously with the prepared mixture. Close the cover on the BBQ and let cook for 2 mins. Remove from the grill and let stand for two minutes and then serve. 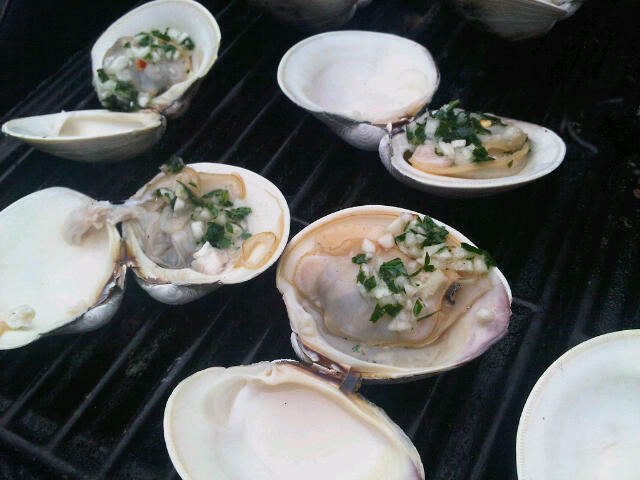 This and a glass of Prosecco made a very Happy Fourth of July!! !